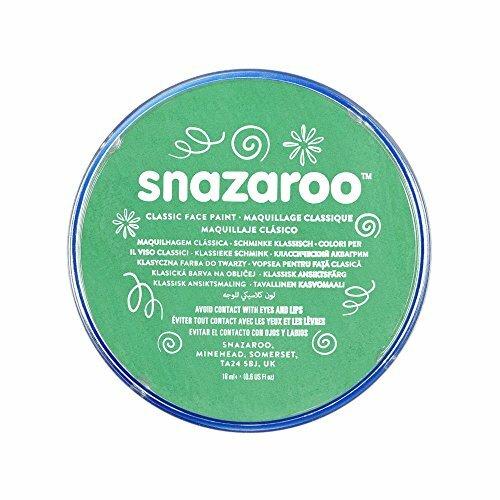 Complete the costume with these easy-to-use makeup kits! 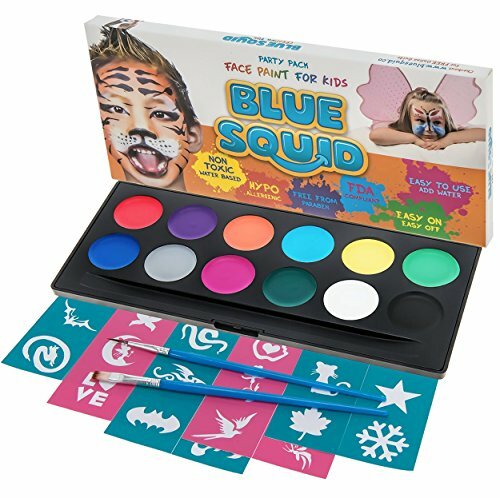 Cool Color Combinations Helps To Create stunning devils, mummies, clowns, vampires, pirates, witches, and more! 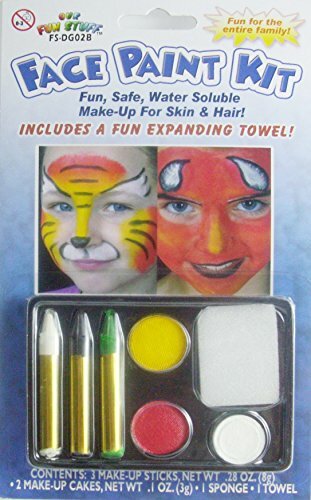 Plus, included towel makes removal of makeup a breeze! Choose among the 4 styles shown. Each kit includes 3 makeup sticks, 2 makeup cakes, 1 applicator sponge, and 1 magic towel. 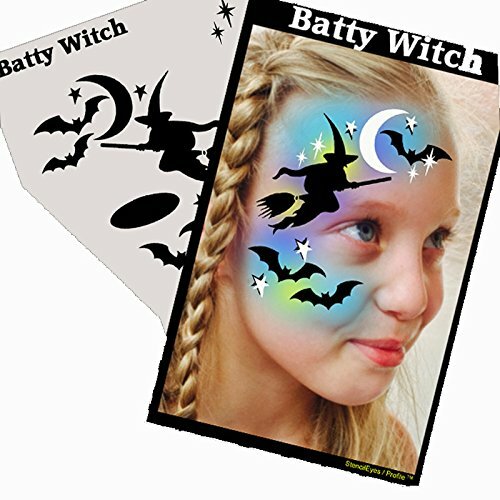 Witches Shoes Halloween Face Painting Stencil 7cm x 6cm 190micron Washable Reusable. Dimensions refer to the overall size. Made in the UK. 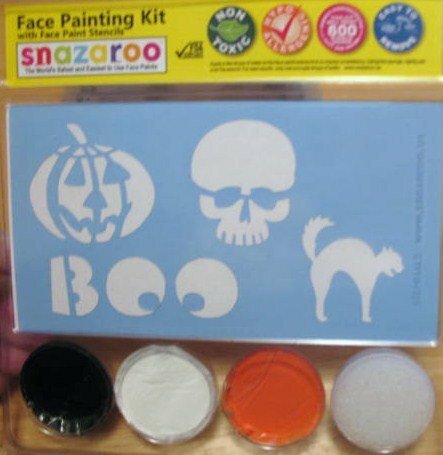 Our face painting stencils are made with 190 micron Mylar polyester material, which is durable and washable, yet still workable for curved surfaces. 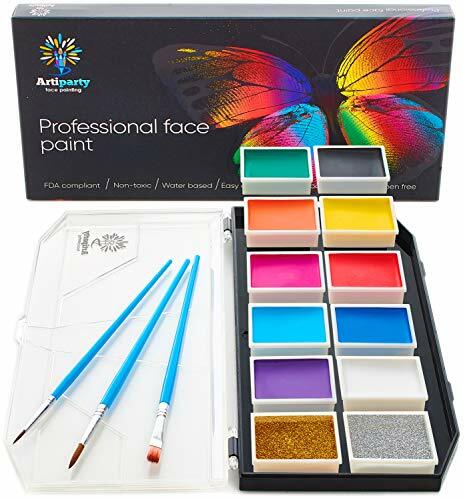 After extensive research, we found this micron to be the best suited for these type of stencils and will last for many reuses. 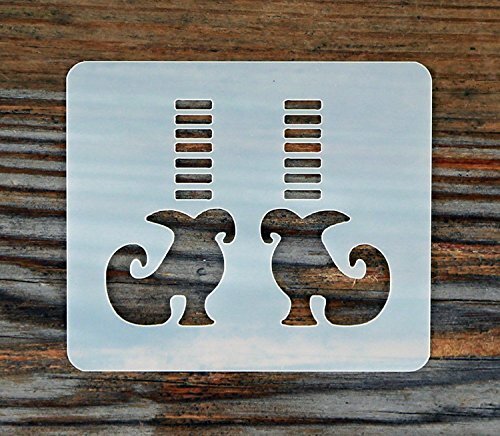 All our stencils are non-adhesive and solvent proof. 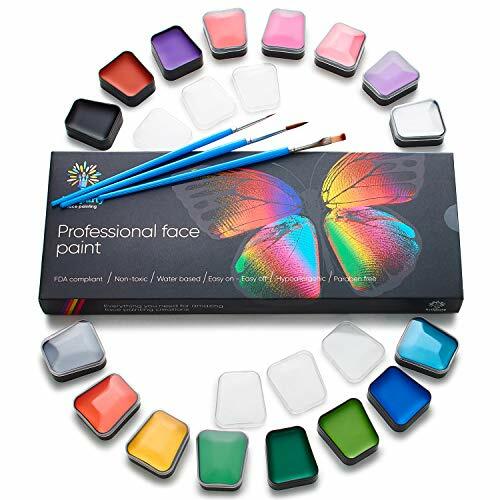 They can be cleaned easily with soap and water, depending on which type of paints you use.